Updates to Manuel (Manny) L.'s profile since your last visit are highlighted in yellow. I left California in 1974. I have been at a university most of my adult life, first as a student (James Madison 1976 & Virginia Tech 1983), and then as a professor. After many years of being an online Professor of Finance & Accounting for Liberty U, I retired in December 2017. I now live in a small town in the very historic Shenandoah Valley of Virginia. Manuel (Manny) L. José has a birthday today. 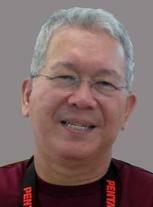 Manuel (Manny) L. José updated his profile. View. Manuel (Manny) L. José changed his profile picture.